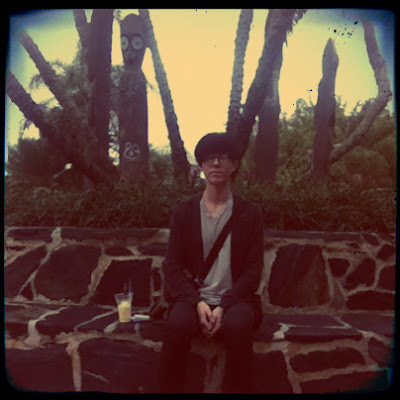 Disney Hipster Blog: Favorite Place To Sit At Walt Disney World: Part 1. Favorite Place To Sit At Walt Disney World: Part 1. I recently asked a fill in the blank question, over on our Facebook page: "Instead of working, I'd rather be sitting _________." And I realized...not only have I asked this question before, across many platforms, but I've probably asked it several times. 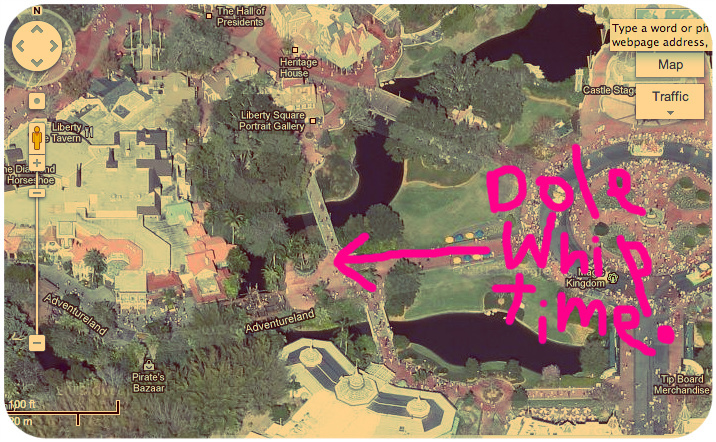 The importance of having a "special place" to sit at Disney World and take it all in cannot be understated. While most people are hustling around from one attraction to the other, YOU as the educated Disney fan that you are, like to sit back occasionally and let the transformative magic happen around you. Soaking in the perfectly calculated ambiance in order to better appreciate the short time you have there can create its own nostalgia. I have a few places that I take the time to sit, and reflect on how lucky I am, both in the parks and at my favorite resort. At first I wasn't even sure if I had a picture of this...but, hurrah! The transitional area between the hub / main street / adventureland has my absolute favorite spot to sit in all of the parks. I usually take a short break from a busy day of touring to grab a dole whip float and sit here for a few minutes while I people watch. The thing is, this area IS NOT a relaxed area of the park...in fact most new visitors to the Magic Kingdom start their day walking through this area. But I've always had a huge admiration for the brilliant transition from one theme to the next. In this case, Crystal Palace...mere steps away acts as the perfect buffer between turn of the century America and Victorian adventure. Palm trees are also more sparsely included on this side of the Adventureland bridge, and in their sparseness create a gradual transition. Above all else, the sounds here are outstanding. The prominent sound, regardless of your proximity to Adventureland is the Main Street music loop, with the Adventureland drums off in the distance. If you strain your ears just the tiniest bit you will also hear the ragtime pianist at Casey's Corner. This is one of the few spots in the Magic Kingdom where you are truly mixing flavors, in the most beautiful ways. Make sure you join the discussion on our Facebook page... we have a lot of fun over there, including some random discourse on Disney World/Disney in general. Let us know where YOUR favorite place to sit at Disney is! As predictable as this might be, I LOVE sitting in either the Grand Floridian Lobby, or on the beach at the Yacht and Beach Club. A close second is on the outside lobby area of the Boardwalk or the 4th floor observation deck in the grand floridian, where you can see the fireworks at night and they even pipe in the music. I love finding a bench in Future World where I can watch the fountain with Spaceship Earth in the background, especially at night. Sitting by the water at Flame Tree BBQ with a view of Everest is pretty relaxing also. I know these are both old favorites of many folks! I love sitting next to the Cinderella fountain in Fantasyland, people are in such a rush and never notice the artistry in front of them Out front of Casey's Corner is another great place, but that's mostly for the music.